At night of 27. 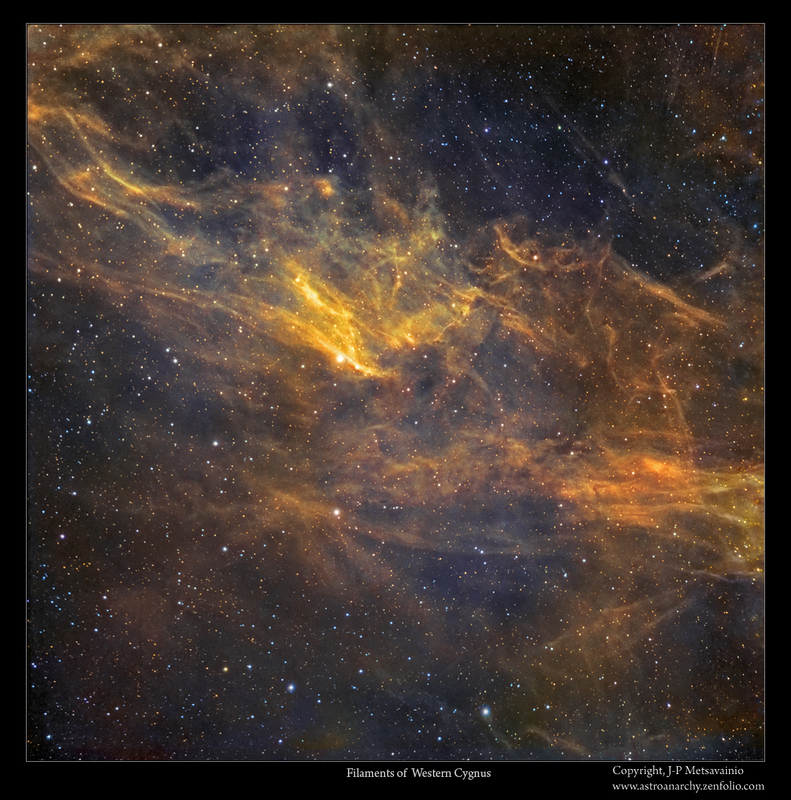 October I managed to shot some new lights for this interesting area in the Western Cygnus. Speeding clouds ruined most of my imaging session but I got just enough exposures to make this two frame mosaic. At some point, I'll shoot more data for O-III and S-II, at the moment the signal is extremely low. I got it processed by using the powerful Tone Mapping v2 workflow. This palette is very close to a visual spectrum. 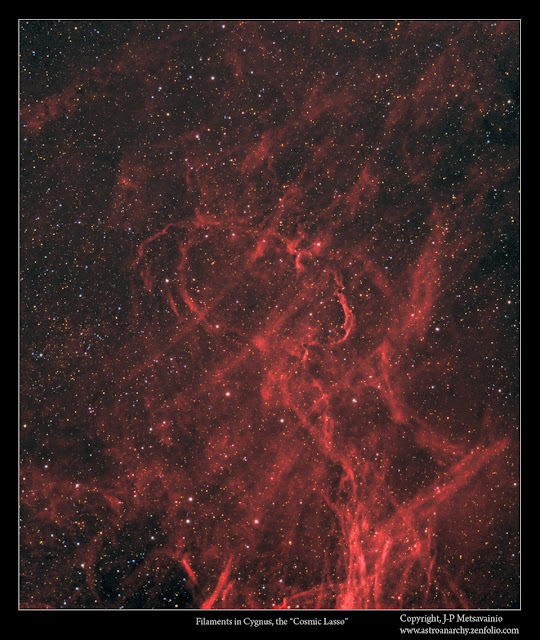 Complex structures of the ionized gas stands out nicely in this experimental starless view. I noticed this ring back at November 2011. 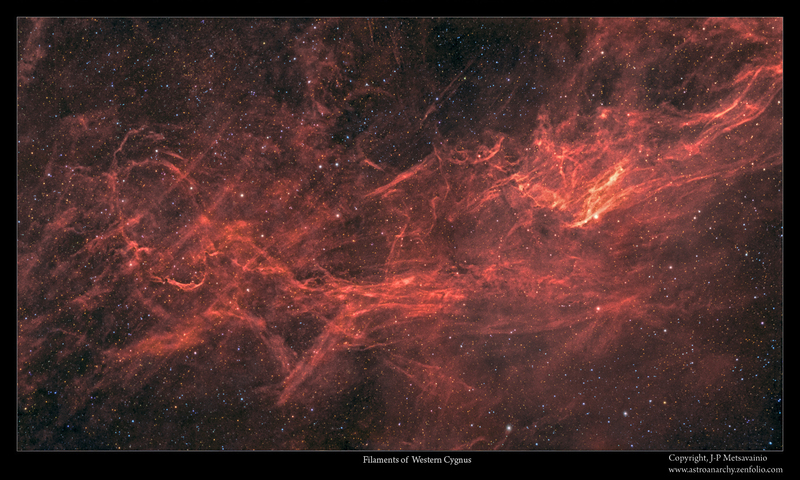 At the time I was shooting a less known area at the Western Cygnus. 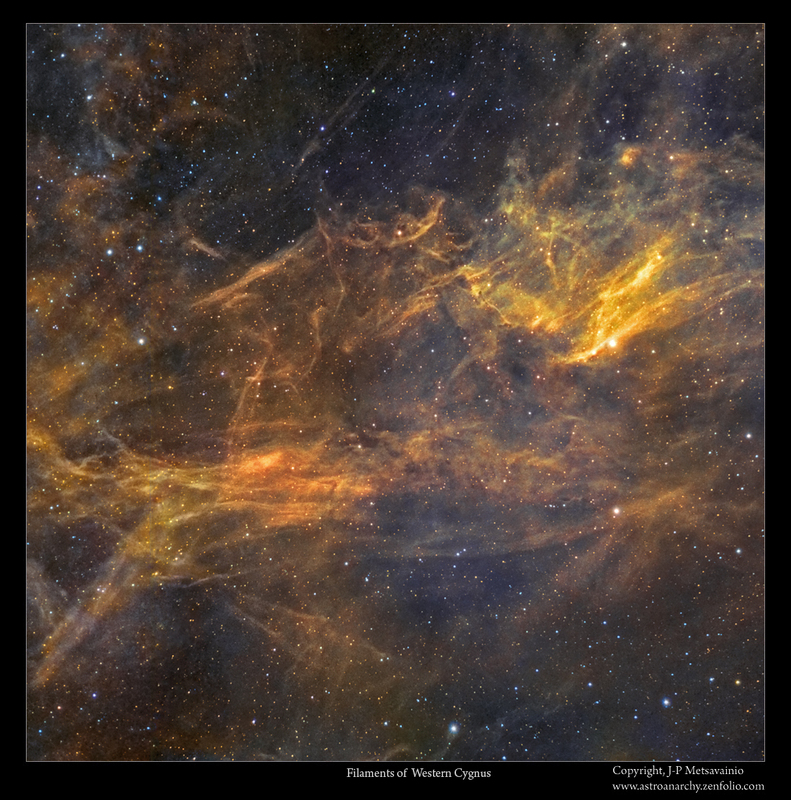 This looped gas formation got my attention. The "Cirrus of Cygnus" was a small part of the large mosaic image of the Cygnus nebula complex. Here is an animation from November 2011, I made it to get a better view to this formation. 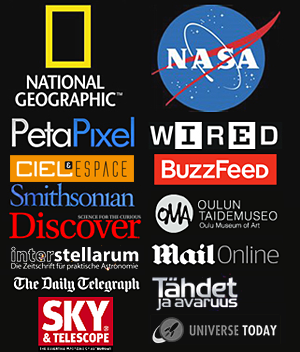 Image was taken at November 2011. I removed the stars to see the actual nebula better. 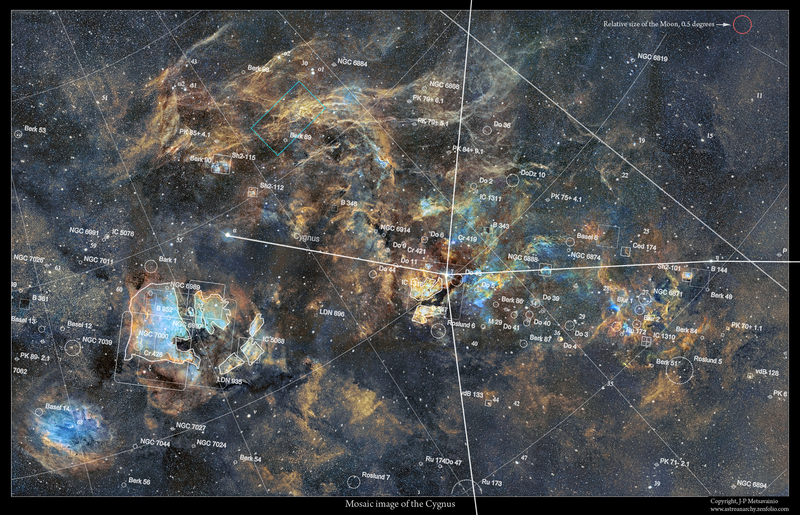 A 18-panels narrow band mosaic of the constellation Cygnus overlaid with Cartes Du Ciel screenshot.. Area of interest can be seen at about eleven o'clock position in this image as a blue regtangle. O-III, 4 x 1200s binned = 1h 20min. S-II, 4 x 1200s binned = 1h 20min.